One of Britain's most famous models is celebrated this month at the National Portrait Gallery in London. 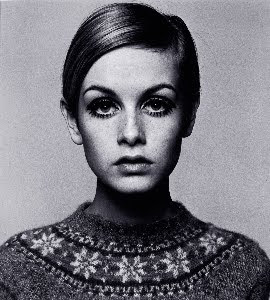 Twiggy rose to fame as a model aged 16 in 1966, when she sported the iconic House of Leonard cropped hairstyle. She went on to enjoy a successful career as a screen, stage and TV actress. She returned to the British public eye in 2005 when she began modelling for high street retailer Marks & Spencer. M&S even sell a bag based on her 1960s look!